The path integral approach has proved extremely useful for the understanding of the most complex problems in quantum field theory, cosmology, and condensed matter physics. 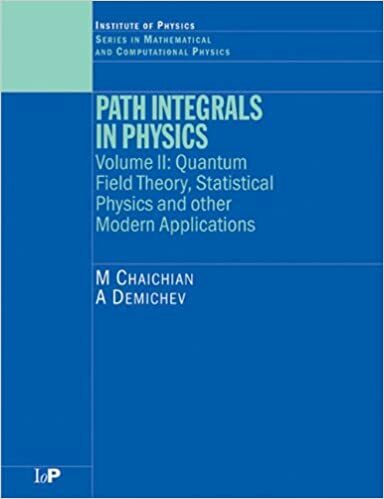 Path Integrals in Physics: Volume II, Quantum Field Theory, Statistical Physics and other Modern Applications covers the fundamentals of path integrals, both the Wiener and Feynman types, and their many applications in physics. The book deals with systems that have an infinite number of degrees of freedom. It discusses the general physical background and concepts of the path integral approach used, followed by a detailed presentation of the most typical and important applications as well as problems with either their solutions or hints how to solve them. Each chapter is self-contained and can be considered as an independent textbook. It provides a comprehensive, detailed, and systematic account of the subject suitable for both students and experienced researchers.